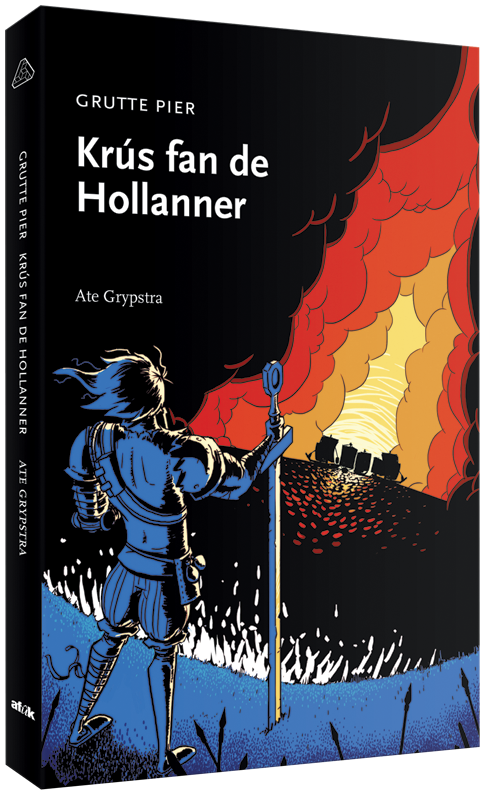 With the novel launching this week, we thought it would be a good idea to give you some more information about its writer, Ate Grypstra. And what is a better way to learn about someone than doing an interview? Read on. Has it always been your wish to write? Actually it has. I’ve always been fond of reading. I started writing my own stories when I was 8 or 9 years old. I wrote adventure stories that I read to my class in school. So I think it’s always been a part of me. Who are your favorite writers? Do you draw inspiration from them? How much time do you have? I’m what you could call a literary glutton. I read a lot and I like many different genres. I’ve started discovering Stephen King these last years, I like him very much. Of course there’s Tolkien, he’s fantastic. I think Terry Pratchett is a very good writer, when I read his books I really laugh out loud. I like Neil Gaiman, he’s an American writer who did a lot for comic series like Sandman. He also wrote movie scripts. I think he’s a very innovative writer. The best English writer of the last few years is J.K. Rowling of course with her Harry Potter books. I’ve bought her last book, The casual vacancy, but I haven’t read it yet. I’m very curious about how that will be! Oh and I almost forgot Roald Dahl, he’s very good. I love his macabre stories. And do I draw inspiration from them? Yes, actually I do. I wrote a book called ‘It beest fan de Westereen’ in which I pretend that it was written by someone called Steven Kingma. 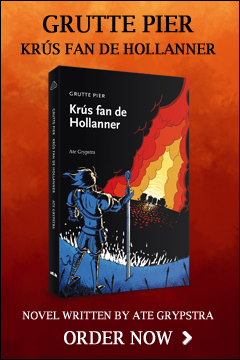 The idea behind it was: what if Stephen King had written a Frisian book? Being a Frisian, did you grow up with Great Pier? Yes I think everybody around here knows about Great Pier. Everybody hears about him during their youths sooner or later. Most people’s knowledge about him isn’t that extensive though. Everyone knows he was an extremely tall and strong man with a huge sword and that he used the shibboleth ‘bûter, brea en griene tsiis’, but that’s about it. People don’t know about Great Pier outside of Friesland. Could you tell me why it’s still an interesting story for people who aren’t from Friesland? Because every country or region has its own role model. Take Robin Hood or King Arthur for example. I think these stories contain a universal theme that is attractive for almost everybody. Folk heroes like these emerge in every country and culture. And what makes the story of Great Pier even more attractive, is the fact that it contains a really international mix of people and nationalities. There are of course the Frisians and Dutchmen, but also all kinds of mercenaries from all around Europe. It’s really interesting to see how all these people try to maintain their own identities. What I think will also be interesting for many people is the fact that Great Pier is actually one of the early pirates. That’s a subject that many people love, take for example the success of the Pirates of the Caribbean movies. Most pirate stories are set in the 17th and 18th century, but Great Pier was a pirate long before then. Was it difficult doing research on Great Pier? Yes it was. I spend much time just looking for sources. They do exist, but most of the time they only contain a few lines about Pier, so you really have to dig. Luckily for me Triangle Studios had already done lots of research that I could use as well. But many sources contradict each other and it’s also important to know who wrote a certain text about Pier. Frisian sources are, logically, often very positive about him, while Dutch sources write about him as if he’s some sort of barbarian. Did you make any surprising discoveries? Yes I did actually. I’m a huge fantasy fan myself so when I started writing this story I was thinking about throwing in some magical elements. I was soon clear though that we needed a more historical perspective. But when I did my research I discovered that there certainly were some supernatural elements to the story. At one point there was a ghostly apparition that warned Pier about his death. I then went to research if that was made up by another writer or that it came from an original source. But I discovered that it was also written in Peter of Thabor’s Chronicles. Your book is about Great Pier, but you don’t tell the story from his point of view. Can you tell us more about that and why you’ve chosen to write the story like that? In the book I let Wijerd Jelckama talk about his uncle, Great Pier. When you’re writing, you’re always looking for a certain approach. I thought that Wijerd was an interesting character but I didn’t know much about him. Of course I knew about Great Pier, but I didn’t know about Great Wijerd before I started investigating the subject. I think even most Frisians don’t know about him. At a certain point Pier withdraws from the war. Wijerd then tries to lead the army and to keep up the fight, but he fails after a while. I think that makes him quite an interesting figure. I was curious about the way Wijerd looked at Pier, his great example. And then suddenly he had to take over the role of his hero. That makes for some really interesting psychological leads. Another reason why I didn’t write the story from Pier’s perspective is because of the game. When you play that you already see the story from Pier’s eyes. I think it’s nice that you see a different side of the story in the book. 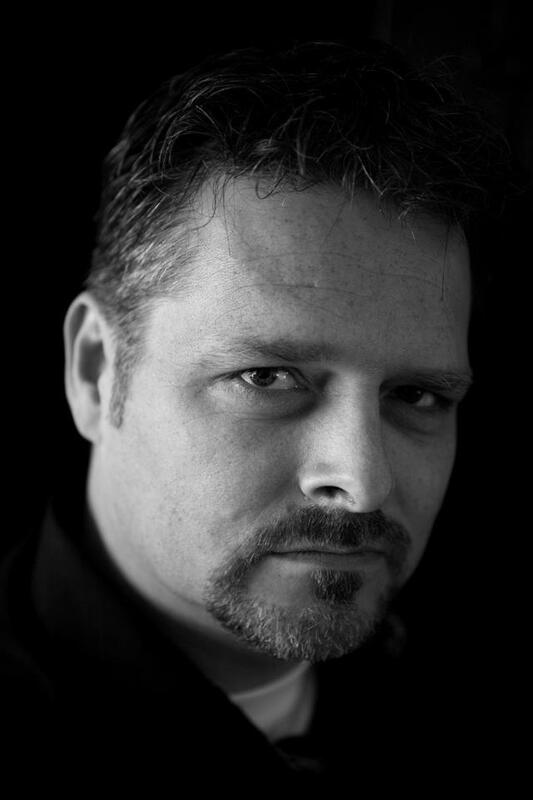 Cross of the Dutchman is your first historical novel. Was writing such a story a dream of yours? I’ve always been interested in history. As a kid I loved those stories about ancient Egypt and Greece. But I couldn’t say that it was something I dreamed about, although it fits my interests perfectly and I really enjoyed writing it. I’ve always been reticent about writing a historical novel though, because it’s my opinion that everything has to be correct and it’s really easy to make mistakes. For example, I couldn’t let people eat potatoes because those weren’t even introduced in Europe at the time! As a writer you’re worried that your readers know more about a subject than you do. But I don’t fear that anymore because everything went a lot better than I expected. I’m happy I wrote this book and I think it’s also an encouragement to maybe write another historical novel one day. You are also a gamer. Does that make you look at the story of the games you play in a special way? I think it does. For me there has to be more to a game than just shooting stuff and blowing things up; I want a good story as well. But take RPGs for example: in some of them you can literally read for hours and I think that’s taking it a step too far. When playing a game it’s still about the fun. When I play an ordinary shooter I lose interest after a while, but when I play a game like TimeShift or Singularity I’m traveling through time. Things you do in the past have a direct effect on what you encounter in the future. Or think about movies like Inception; a lot of thought went into creating that story. But maybe that story wouldn’t work as well if it was only in a book. I think of movies, games and books as completely different experiences. Still, for all of them it is obvious that the story element remains important. You also teach English and Frisian at a grammar school. Do you think of writing as a hobby or do you want to make it your primary job in the future? I have been writing in Frisian for about seven years now. If I could think of something that would be a success like Harry Potter I would of course go through with it. But you have to be realistic: that’s a small chance. Besides, I limit myself a little by only writing in Frisian. It’s an accessible market, but it’s also small-scale. You can’t make a living out of it. It’s a nice hobby though and I notice that the more I write the more projects I get asked for. For a while I thought that I should start working part time at school and reserve one or two days a week for writing, because I’ve been getting a lot of project offers. It’s nice to have some extra income, but I write first and foremost because I like doing it so much. So would I want to make it my primary job? Yes, but with side notes. It wouldn’t work in Frisian. I could write in English, but there are so many others who are already doing that and they’re probably doing a much better job. So I’d need that golden idea, I would need my own Harry Potter. But for me it’s never been about the money, I just love to create something that wasn’t there before. That’s the most important thing. What was it like to write a book based on a video game? That was an aspect of this project that really appealed to me. Combined with the game it’s a great transmedia project. I’ve been looking for ways to combine books with things like movies and games. I like those types of media as well, as I said before. As a writer you’re always paying special attention to the story element. So for me there has to be a good story in it or I will probably lose interest. But games and movies both work with scripts so that storytelling component is always there somewhere. In conclusion: Great Pier, heroic freedom fighter or a brutal savage? I hope that my book will show that that would be a little short-sighted. I try to let Great Pier’s character evolve. Why did he enter the fight? He was always wrought up about the oppressors but he didn’t pick up arms until he was affected directly. As his struggle continues over the years he slowly starts to change. He turns into that which he despised. So there’s a great and important psychological aspect to the story. I hope that in the end the readers will think of Pier as much more human than they thought he was. Be one of the very first to experience the legend of Grutte Pier in Ate Grypstra’s latest work “Cross of the Dutchman”. Order this adventurous novel, and not only will you receive the perfect addition to the videogame, you will be able to re-live the legend in a way like never before!